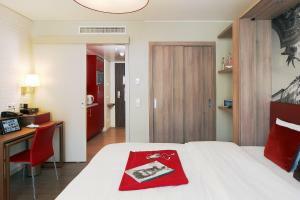 Just 300 metres from Munich Central Station and the Oktoberfest site, this aparthotel offers modern apartments with free WiFi, a 24-hour reception and a fitness centre. 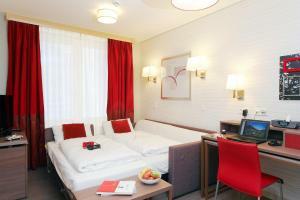 Aparthotel Adagio München City provides air-conditioned accommodation with soundproofed windows which open. 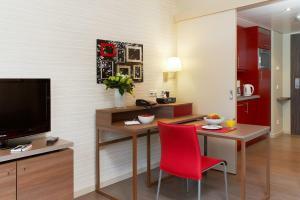 Your living area features a dedicated work space and a flat-screen TV with satellite channels. A hairdryer is provided in the bathroom. 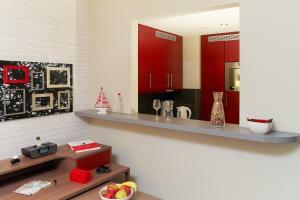 The property also offers a laundry room, which can be used by all guests. You can also enjoy free WiFi and a free internet terminal here. Guests are welcome to prepare their meals in the fully-equipped kitchen, which features a microwave, refrigerator, a freezer, hot plates, a dishwasher and tea/coffee making facilities. A rich breakfast buffet is also available for an additional fee. Vending machines for snacks and drinks can be found in the lobby. 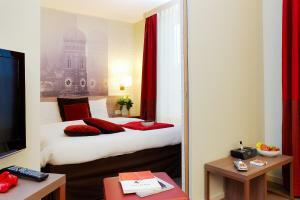 Within a 5-minute walk are cafés, restaurants and the Theresienwiese Underground Station. The Karlsplatz/Stachus shopping area is a 10-minute walk away. Munich Airport can be reached in a 35-minute drive. Please note that minors below 18 years cannot stay at this property unaccompanied by an adult. Bookings made by minors may be cancelled by the property. Please note that daily maid service is not available. 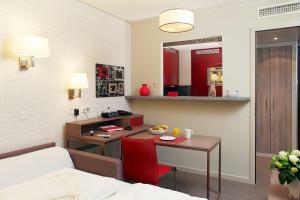 For stays of 8 nights or more, a weekly cleaning service as well as a change of towels and bed linen is included. 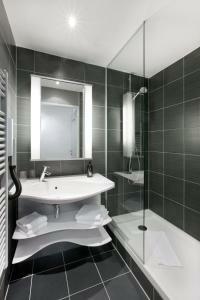 For stays of up to 7 nights, an optional cleaning service is available on request for a surcharge. 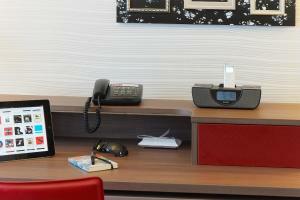 Guests can book additional high-speed WiFi for a surcharge. Please note that baby cots are available free of charge upon request.